The picture above is an example of a soak away drain in Harrogate that has become defective. The black fall pipe is from a flat roof above and the excavation in front confirms that the soak away is not piped to mains surface water drainage. Soak away drains are most common on domestic properties and are usually a gully drain on a corner taking water via a fall pipe from the roof. They are piped into a layer of stones/gravel underground to allow the water disperse naturally. Problems can occur when the stones/gravel rather than acting like a filter become clogged with debris and soil causing the drain to back up. Re pipe the drain to a mains surface water line. Excavate and replace the stone/gravel layer to return it to “like new” condition. Ever wondered how we unblock your drain? As you can see the unblocking process is a lot quicker than using drain rods and is also descaling the pipe line at the same time as dealing with the blockage (fat and grease build up). Here’s an example of a blocked wet room / shower drain being cleared using our electro mechanical rodding machine, the bath and sink also linked into the same line causing this area to flood when in use, this particular property was in Harrogate and we were able to attend the blockage on the same day, a big advantage of using a local family business. Apart from the obvious, a full sink or the toilet bowl filling when being flushed their a few indicators that your drainage system may need attention, for instance if you live in a terrace property check your external kitchen drain level if this is overflowing is their signs of toilet paper? 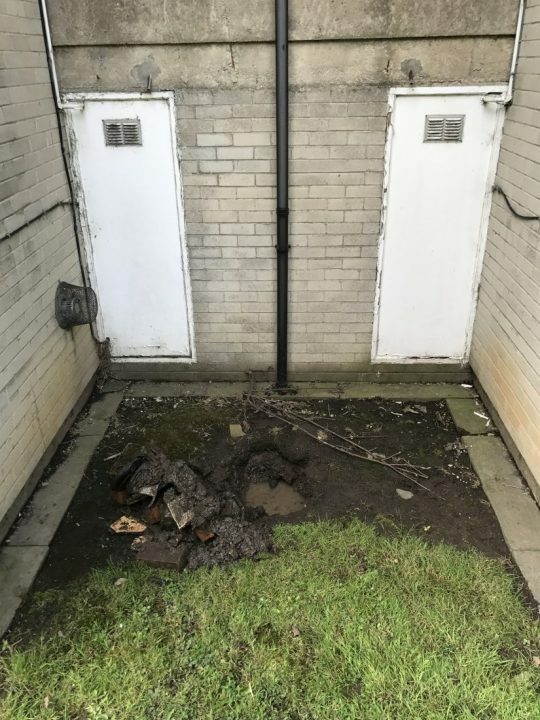 This often indicates that their is a more serious drain blockage that may require a professional and not be localized to your external gully drain. Blocked drains, toilets, sinks & showers, blocked surface water drainage, CCTV drain surveys, Home buyers reports, drain repairs. What causes blocked drains in Harrogate? 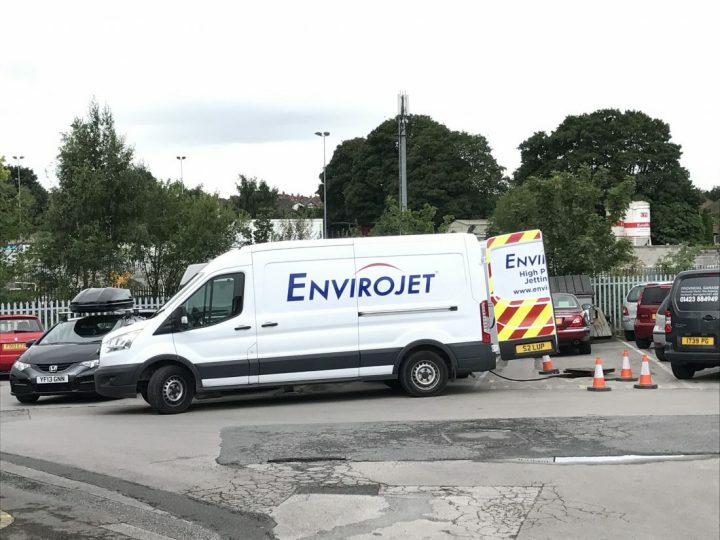 Blocked drains are caused by many things throughout Harrogate from kitchen sinks to external manhole drains and blocked toilets. Don’t flush sanitary products down the toilet. 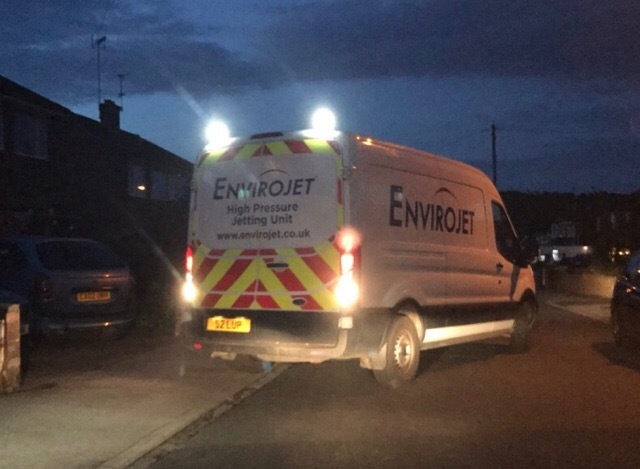 If you do need a drainage professional help is at hand, Envirojet has been unblocking drains in Harrogate for over 30 years and offers a fixed price for a domestic blockage. 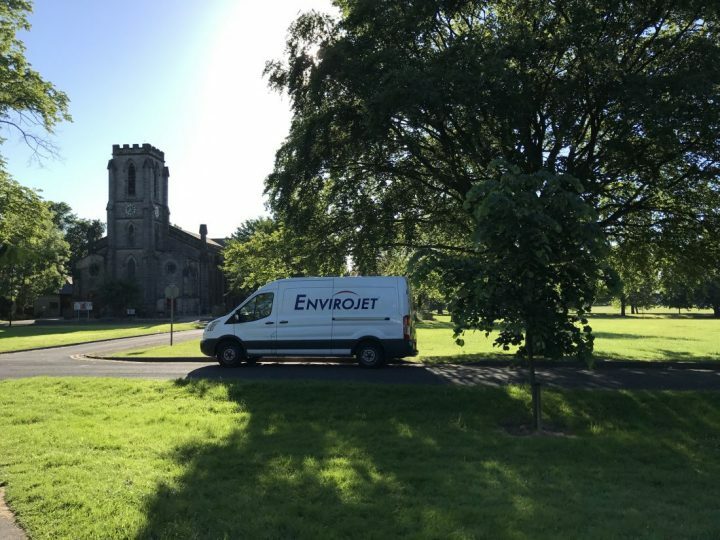 If you have a blocked drain in Harrogate help is at hand, at Envirojet we have been unblocking drains in the area for the last 30 years and we are genuinely from Harrogate. 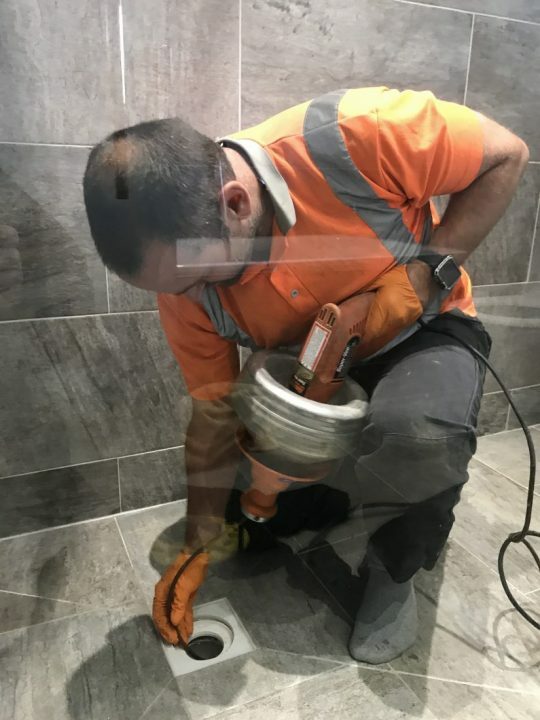 Our services include blocked external drains, sinks, baths, showers and unblocking toilets.